Vincent Foulk served in Iraq from 2003-12 in all types of capacities. He started as an Army Civil Affairs officer in 2003, then worked with the Coalition Provisional Authority, and assisting Iraq’s courts. He then returned as a legal adviser to the Iraqi police, moved onto helping Iraq with anti-corruption activities, and finished with the Special Inspector General for Iraq Reconstruction. He is also the author of The Battle for Fallujah, Operation, Resistance and Stalemate in the War in Iraq. 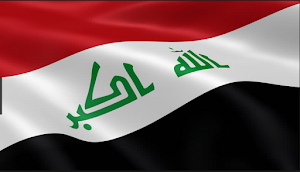 This interview focuses upon Foulk’s time trying to combat fraud and graft in Iraq. 1. Stuart Bowen the former Special Inspector General for Iraq Reconstruction said that Iraq went through different phases of corruption. 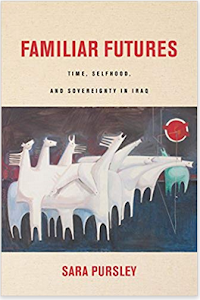 First there was a free-for-all after the 2003 invasion when Americans and Iraqis alike attempting to defraud the Iraqi and American governments for all they could get. 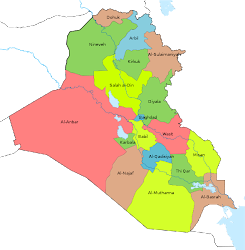 Then it became institutionalized by the Iraqi ruling parties. Can you explain how graft became part of the way Iraq is governed? This is the first of three installments on corruption in Iraq and how it became a thorn in the side of our efforts in Iraq. Iraq is not the first time corruption has side tracked US policy and put our soldiers at risk. In WWII America looked to China and the like as with the Soviet Union fighting Germany, to provide the manpower and blood to occupy the Japanese as we closed upon the Nippon homeland. After herculean efforts to supply the Chinese army we found that much if not most of what we provided was stolen. Far more recently America provided aid to the Palestinian Authority under Yasser Arafat only to result in a Hamas takeover of the Gaza Strip by the desperate population as most of the assistance was stolen. Today, the widowed family of the winner of the Nobel Peace Prize lives in an entire rented floor of a luxury hotel in Paris while Hamas stifles peace efforts. When I reported to the Special Inspector General for Iraq Reconstruction the Inspect General Stuart Bowen asked me what was the character of corruption in Iraq? I said we went from corruption under control, to corruption out of control, to corruption in control. Corruption in Iraq came in two flavors: Petty at the local level, and grand at the central government level. Corruption was always a problem in Iraq, but was tightly controlled at the grand level, in that a balance was needed to reward senior leadership and still provide enough services to have a functioning government. Due to mismanagement, ruinous wars, and economic sanctions petty corruption became the norm and accepted. When I first got to Iraq in 2003 the average teacher made only $10 a month. There were enough teachers for class sizes of under 20 students per teacher. Yet, I never saw a class room with less than 40 students. The teachers would take each other’s students so they would only have to work 2 days a week in favor of side jobs or businesses on the side. Doctors charged for drugs even though medical care was free, police officers set up checkpoints and charged to pass through. The Oil for Food distributors shorted the packages and sold the skimmed off produce. College professors held private seminars and only those who took the tutoring passed. Everyone had a scam and the Baath Party leadership turned a blind eye, unless you criticized the government. At the senior level however, a careful 10 to 15% was skimmed off. As economic sanctions took hold that corruption rose to 1/3, resulting in hardship on those dependent on the government. Inflation went out of control but wages were not indexed to the rising prices. Enter the Americans, myself included in 2003. With the fall of the Baath regime the society shattered and a civil war kicked off, albeit one that bubbled below the surface of the “American Occupation.” Unlike our own civil war, which had only two sides, Iraq followed the more usual pattern of conflict along the fissures of different groups and interests, often changing sides, making deals, breaking them and using both violence and political action. 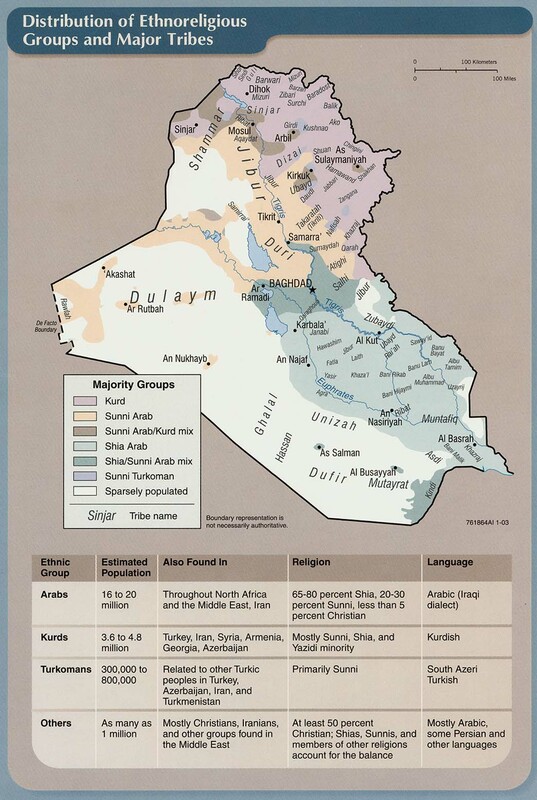 The U.S. State Department briefed the military in simplistic terms along the Shia, Kurdish, and Sunni split in Iraq, but there was little insight on the myriad of different tribes, political factions, and religious movements. For example, while Shia-Sunni violence was brutal the violence within the Shia was even more ruthless. The Shia were divided between the Quietest movement which kept itself relatively separate from government involvement and the advocates of political control of the clergy as followed in Iran. The Dawa Party, whose membership Saddam made retroactively a death sentence, split into those who found sanctuary in Iran and those who went to Europe. The Iranian branch formed the Badr Corps while the westernized refugees learned the details of governance and separated themselves from their more militarized brothers. The Sadr movement found adherents among the urban poor and fully expected the return of the Mahdi. They too were agents of Iran. The Sunni were even more fractured and a consistent internal war within the Sunni started in the shadows and night as soon as the Americans appeared. Only the Kurds posed a united front and even they were split into two factions with separate political movements and intelligence operatives. Communists, liberal democrats, Baathists, tribal leaders, and other small groups, all of which were willing to pick a side in the shifting tides, willing to use violence, and eager to take advantage of any opportunity for advancement of their group and themselves. To make matters worse the Americans came with our own prejudices about governance. To every American, democracy was the solution to all of Iraq’s problems. But, to the Iraqis, democracy was not an alternative to violence, just one means of political activity to be supplemented with violence. Also, democracy was not our liberal concept with respect to the rights of the minority, but the equivalence of two wolves and a sheep voting on the menu. General Jay Gardner the first Coalition head of government under the acronym ORHA (Office of Reconstruction and Humanitarian Assistance) sent out advisers to government agencies where multiple people claimed to be in charge and in fact no one was. The Americans had at their disposal $40 billion which when dispensed was most often stolen. There was no means to track any funds after it was released to Iraqi authorities. Gardner was quickly replaced by Jerry Bremer and the Coalition Provisional Authority (CPA). First in order of business was to divvy up the ministries, which was done by identifying who had a following and who did not. Inevitably, some groups were left out and took up arms and hired themselves to one group or another. It was here that the corruption turned from being out of control to being in control. Government agencies were not used for their function but to provide wealth and patronage to the political block in its charge. Thus, corruption turned from Saddam’s milking the cow to political groups eating the cow. Corruption and its political patronage rather than good governance was imperative for failure to keep control of a ministry meant political extinction. This process continued until the US military left save a small contingency for military support. The means by which the corruption occurred became increasingly sophisticated and inventive. One day the former auditor of the Ministry of Trade showed up at the embassy showing that the food parcels provided to every Iraqi every month were about 10% of the value, the $400 million dollars stolen being siphoned to pay for Prime Minister Maliki’s political campaign with the almost comically named State of Law Party. In one case I and my boss were called into the office of the three star general charged with building the Iraqi army seeking help because the Iraqi army was buying a fleet of outdated armored personnel carriers from the Ukraine for $700,000 each when the US was willing to give its own comparable useable M113s to the Iraqis for free. Iraqi Inspectors Generals regularly complained to the State Department’s Anti-Corruption Office that roughly 70% of all revenues were lost to corruption, much of it shoveled back in the form of patronage for political supporters. The most grievous of the corruption came under the Sadrists when they were given control of the Ministry of Health. There, the ministry was handed over to the Mahdi Army and used to conduct terrorist activities and operations against the US military. So much of the drugs were stolen and used as payment for Mahdi Army personnel that the formation was often referred to as the “pill army.” Things got so bad the US military had to raid the ministry and arrest senior officials, all of whom were later found not guilty in court after witnesses either disappeared or changed their testimony. The only place where corruption was not in charge was in the Kurdish area, and that was because in many cases it was legalized. The ruling political parties were given direct subsidies from government funds harking back to the Saddam days when corruption was tolerated but under control so long as the government functions were actually carried out. It was little wonder that the Iraqi army in Mosul bolted and ran when a handful of Sunni fundamentalist appeared leading to a major setback for the US and new military campaign. 2. The Coalition Provisional Authority attempted to set up a number of bodies to fight corruption. Iraq already had the Board of Supreme Audit that went through the government’s books. The CPA added inspector generals in each ministry and created the Integrity Commission, which was to be the main organization to combat this problem. Did the Americans do an adequate job creating and supporting these groups, and how did the Iraqi agencies react to them? 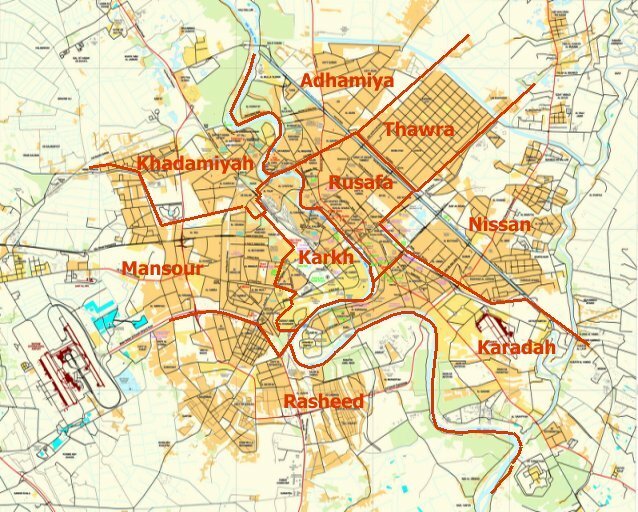 In 2003 and 2004 the leader of the Coalition Provisional Authority, Jerry Bremer, realized that corruption, already out of control at his appearance, posed a threat to the plans of a working democracy in Iraq. A consummate bureaucrat himself, Ambassador Bremer looked for administrative solutions and created three separate agencies: The Supreme Board of Audit, the Commission of Public Integrity, (later renamed the Commission of Integrity COI), and a system of Inspector Generals for each of the ministries. The Supreme Board of Audit was familiar to Iraq, having existed prior to the invasion. This agency was given to a Sunni, Abdel Basit Turki al-Sae’ed, a former lawyer for Saddam Hussein. This naturally drew objections from Shia members of the Shia leadership, but they were mollified when the law reestablishing the agency was barred from conducting investigations or prosecuting corruption. They would simply send the audits to the Ministries or COA for further action. The Inspector Generals were a different matter altogether. When Bremer created the IG system it was along the lines of the American model. But the Iraqis were all too familiar with an Inspector General, along the Russian model. In the Ministries of Defense and Interior the IG acted as the representative of the Minister, a sort of trouble shooter with all of the power of one acting in place of the Minister. In the old system the IG’s principal job was to insure that only the right people were doing the stealing. When Bremer created the IG system every Iraqi said to himself, “I know what that is, and the clever Americans had solved the corruption at the top problem by making the IG independent.” Thus, there was a puzzled reaction at initial training when the Americans started talking about Baron Von Steuben and George Washington. Naturally, the Ministers saw the IGs as a check on their power and the independent IGs were promptly isolated. The IG also came into immediate conflict with the COI. They wanted control over who was prosecuted. Eventually, this conflict was ruled by the prime minister in the IG’s favor banning COI prosecution until referred to by the IGs. The COI was created as a clearing house for all anti-corruption activity. They were to investigate corruption, act as a clearing house for personal financial reports, and conduct anti-corruption education. The anti-corruption education was well received in that it seemed non-threatening. The financial reporting requirements were impotent in that there was no real penalty for not reporting. It was in investigation and enforcement that the COI got into trouble. The first Commissioner was Radhi Hamza al-Radhi, a low level judge who was respected by the Shia because he was tortured by Saddam. As soon as he started prosecuting Shia under the Maliki years he ran afoul of the Prime Minister. There were epic turf wars with the IGs in general and the Prime Minister handpicked anti-corruption czar, the IG for the Ministry of Health. The Commissioner eventually had to flee the country under death threat as well as threats of prosecution under trumped up charges. He lives today in political asylum in the US. The next Commissioner ran into the same problem and was forced into retirement. The third Commissioner, having learned his lesson, focused on petty corruption and education. 3. Iraq’s anti-corruption agencies only investigate corruption cases, and then have to turn them over to the courts. Since 2003 few high officials have ever been convicted, and those that have are usually out of government and have often left Iraq. Trade Minister Sudani for example during the Maliki government was accused of skimming off tens of millions of dollars in contracts. He was taken to court, acquitted, and only found guilty after he resigned and had moved outside of the country. What has been the major problem with the judiciary in dealing with these types of cases? One of the great disappointments in the anti-corruption campaign in Iraq was the lack of prosecutions regarding major players in the political scene. There were arrests and convictions concerning minor officials, but always they were at a low level regarding officials going off on their own and not part of an organized scheme and not protection by the leadership. Senior officials within the U.S. Embassy often opined that these convictions were actually supporting corruption in that the message sent was to join one of the syndicates that were looting the government largess. Right before the eyes of the Americans mafia-like pyramids were developing with bribes and other revenues going upstream with each level taking their taste as the funds moved to a central hub, usually a relative of a minister. Jerry Bremer and the experts around him envisioned an overlapping enforcement regime spearheaded by two independent groups, the Commission of Integrity and the IGs. Regardless of the source of the investigations all prosecutions would go to an investigative judge. What the CPA and later the Iraqi government did not account for was the weakness of Iraq’s institutions. The Board of Supreme Audit was denied investigative powers, the COI and IGs were grand new and subject to isolation or political pressure, and the courts, newly separated as an independent branch of government (before they were part of the Ministry of Justice) were vulnerable to political intimidation. To add to the problems, it was impossible under Iraqi regulations and law to pin anything down as evidence. The accounting principles used made for easy transfer and hiding of government funds. There was no transparency in creating regulations. 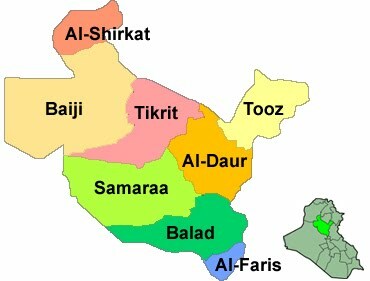 Under the Baath leadership of Saddam Iraq was an administrative state in which the legislature was hobbled in that from the Council of Ministers down to the Director Generals could nullify legislation through opaquely created regulations and a judiciary that offered multiple avenues to forestall prosecutions. A good single example of a prosecution failure was the criminal case brought by the COI against the Minister of Trade, Adel Falah al-Sudani. An Iraqi auditor came to the U.S. Embassy with box loads of evidence of wholesale corruption in the monthly food packages provided by the government to every Iraqi as the successor of the U.N. created food for oil program. Each Iraqi was entitled an allotment of rice, beans, tea, and sometimes vegetables worth approximately $25. What they were receiving was a small allotment of moldy rice and beans, uneatable as even feed for livestock, tea that was adulterated, and no vegetables at all. The audit provided a clear track of how every aspect of the food program was tapped into to siphon off funds. High quality rice, beans, and wheat for bread were purchased in invoices while delivered products of the lowest quality as proved in test results at the ports of entry. The tea was often mixed with dried leaves making it undrinkable. Transport of grain showing ships with clean double hulls were belied by invoices of tramp steamers causing the wheat and rice to mold in the hulls and become adulterated with rust and lead paint. There were pictures of warehouses where the rice and wheat had clumped together in pillars of wet and then molded grain that required the staff to use pick-axes to break up the grain to fill the packages. The auditor confronted the Minister with over $400,000,000 in corruption and after refusing a bribe to destroy the report was fired and threatened with the death to himself and the rest of his family. He fled to Jordan. We are able to track much of the money. Although much of the funds ended up in private accounts, senior government officials, but most went to the State of Law party to pay for electioneering. State of Law rallies were notorious for lavish door prizes to include toasters, refrigerators, generators and the like. All of these were purchased from companies owned by senior party relatives. The COI set about building a case. An obscure investigative judge in southern Iraq was selected to present the case, a judge known for his courage and bulldog nature. 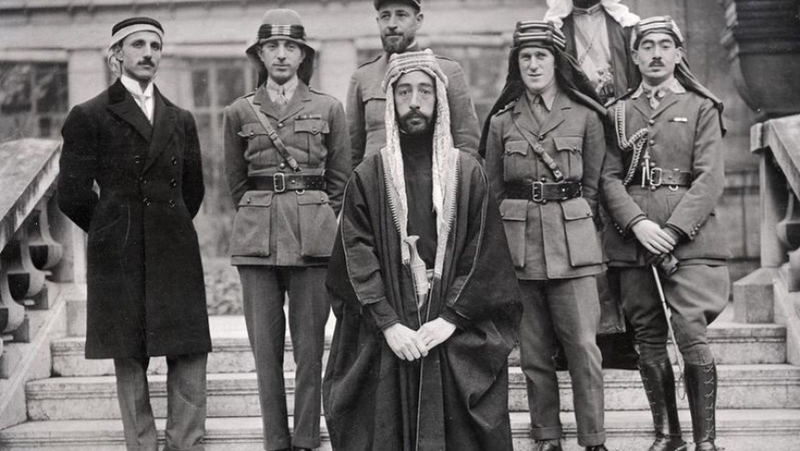 Judge Raheem, the Commissioner of the COI and successor of the first commissioner and later forced into retirement took the precaution of being in Jordan for a conference in case the same fate or worse was likely that forced the first commissioner to flee the country. An arrest warrant was issued for the Minister of Trade along with his two brothers and a press release published. Just as Raheem hoped the opposition in parliament called for a quick prosecution and the commissioner felt secure enough to return to Baghdad. From there the fix was in. Although he tried to escape to Dubai, the Minister of Trade was placed on house arrest not in a jail but in his palatial home with liberal rights to leave the premises on $43,000 bail. 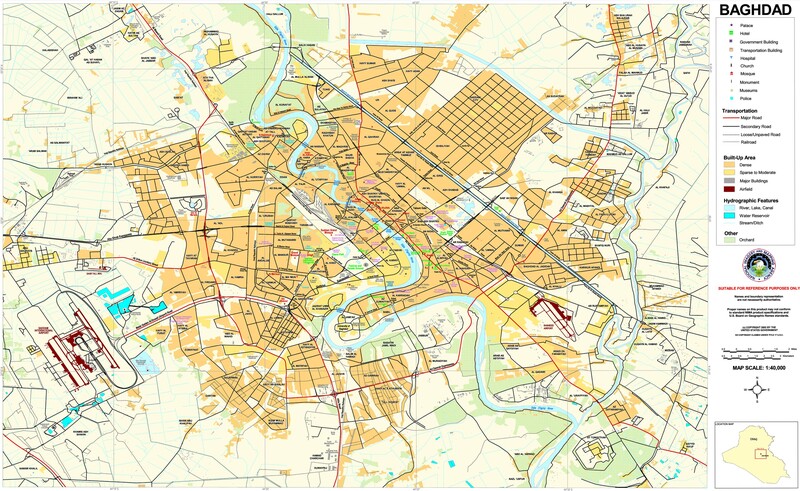 The case was taken away from the investigative judge in the south and moved to a hand selected one in Baghdad. Most of the evidence was ruled as not admissible and witnesses changed their testimony or simply disappeared. But, the Minister was forced to resign while another handpicked minister was installed by Prime Minister Nuri al-Maliki. Seeing the writing on the wall al-Sudani fled the country and was convicted in absence in 2012. Armed with the proceeds taken by Adel Falah al-Sudani the State of Law Party and Prime Minister Maliki won reelection. 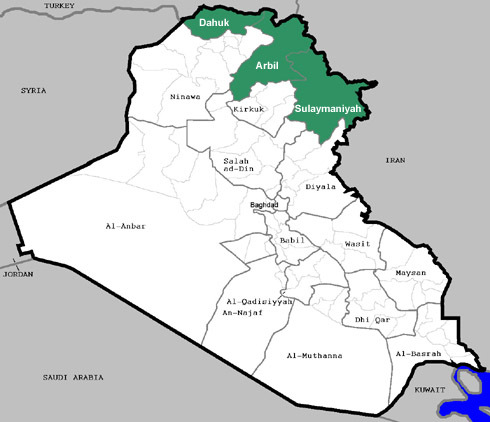 In a post script, after Maliki was replaced as the Prime Minister, al-Sudani was tried again with the same evidence in an Iraqi court in the Kurdish region after being extradited from Lebanon. He was sentenced to 21 years. Six more charges remain to be tried. What the creators of the anti-corruption institutions did not seem to understand was that all corruption charges, by their character, is as much a political issue as it is a legal one. Corruption is not a question of just greed but of obtaining and retaining power. Only when the political climate allowed could the corruption trials press forward. Raheem never got the satisfaction to see his courageous arrest result in justice, being forced to resign in 2011. The purpose of the corruption, the reelection of Maliki’s bloc went forward. Only after the corrupt acts had fulfilled its purpose could the guilty be prosecuted, they were no longer of value and thus were expendable.